We are holding a VIP Tropic skincare experience to help raise money for our charity of the month ANIMAL CONNEXIONS. You’ll be able to try some of their latest best selling skincare products, get a facial and get expert advice from the Tropic skincare ambassador. ANIMAL CONNEXIONS is a local Northern Ireland charity helping to ensure animals have rights, to be their voice and help them find loving and caring homes. To promote the welfare of animals and spaying & neutering to prevent unwanted litters. All profit from the sale of products at the event will go toward ANIMAL CONNEXIONS. Tropic Skincare believe in freshly made, vegan, cruelty free skincare care products. They are an award winning company that offers a naturally derived product range free from parabens, synthetic fragrances and toxic chemicals. They label their products honestly, using plain English, so you know exactly what you’re using on your skin, and they use only the richest, most nutritious premium ingredients to ensure they are effective on all skin types, even the most sensitive. After selling their Body Smooth at London markets aged 15, their founder, Susie Ma, went on to appear on BBC’s The Apprentice in 2010 and Lord Alan Sugar later invested in Tropic to become a 50/50 partner. Come along and try some of the best sellers from the Tropic skincare product line for FREE. Make sure to invite a friend so you can both try the products. 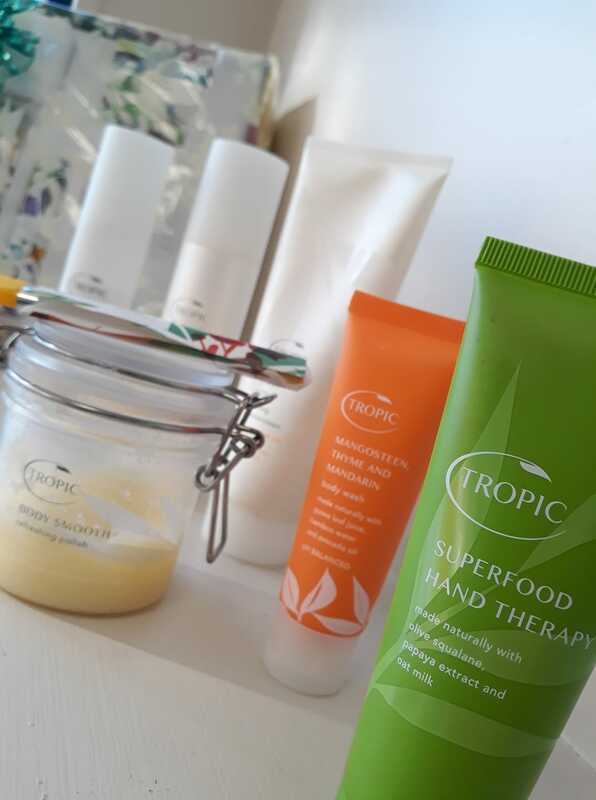 We are also giving away a Tropic Skincare Hamper worth £84 with a whole range of Tropic Skincare products. To enter simply drop into our advance Physiotherapy & Sports Injury clinic and donate £2 to be entered into the raffle. The raffle will be drawn on the 27th March at our VIP Tropic Skincare experience morning.